As I mentioned in my previous blog Freedom Found in Yogic Rituals, as a child, I had an intense thirst for soul understanding. As destiny would have it, at 13 years of age, I was to meet a great Yogi named Shri Brahmananda Sarasvati, who was at that time living near my grandparent’s house. He took me under his wing and guided me in a combination of grandpa meets Yoda. What he taught us all were Yogic practices such as meditation, Yoga philosophy, daily fire puja and Sanskrit mantras. In Freedom Found in Yogic Rituals, I spoke about how my teacher instructed me not to become ritualized in the process of working with yogic practices, and instead to hold to discipline, as a structure for inner freedom. Another important soul practice that I worked with on a daily basis was the fire ritual called Agni-Hotra. Agni-Hotra is a Vedic fire practice that involves at the least, one copper pot, one copper spoon, 4 small or medium pieces of dried cow dung, two tablespoons of basmati rice and one jar of ghee (organic preferably) [for a vegan version use coconut oil]. Each morning and evening, during the sunrise and the sunset, I would make the offering of Sanskrit mantras, ghee and rice to agni, the holy fire. My teacher told me often to watch the flame. So, I watched. He told me to remain as the witness, so I pulled back from the edge of my own experience and watched. I watched the flame, I watched my mind, I watched the prana, energy, within me and around me. I watched. I developed the skill of being present with being-ness itself. He taught me about the ancient Vedic tradition of the fire. Sanskrit was for a long time an oral tradition, so we cannot say that agni was the oldest Sanskrit word. However, it is important to note that agni, fire, was the first and therefore oldest written word in Sanskrit, as it was shown as the initial word listed in the first verse of the Rg Veda, the oldest of the books of Sanskrit. Thus, agni being first in this corpus, shows the importance of the concept of fire, and its understanding for the yogic aspirant. What is fire in Yoga? 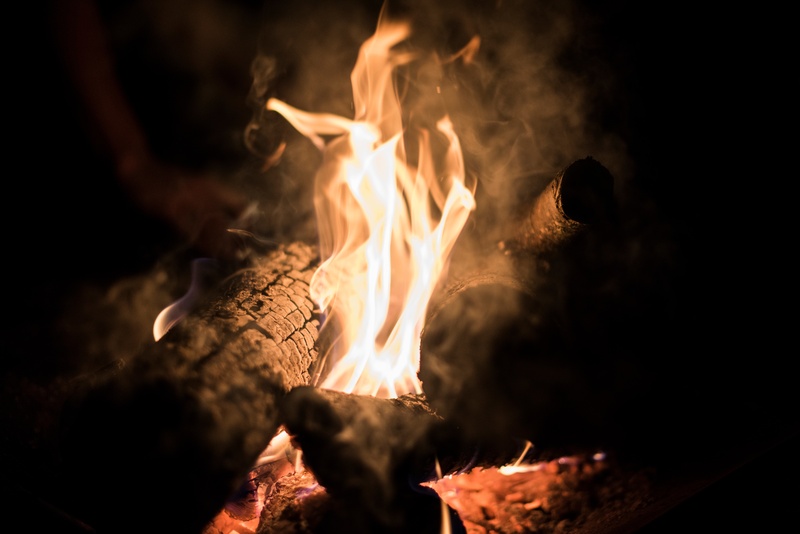 Fire is said to be the best representation of light on earth. Fire is natural. “Fire, like consciousness,” my teacher would say, “always seeks an upward movement.” Fire is transformation and awareness. Fire is the desire to know and grow and it is the fully expanded growth itself. And so it was in those days long ago that I had the privilege to tend to the sacred yogic fire – to watch its flames rise, and dance like serpents, to watch my mind, to feel the heat of transformation and to really be with the gifts of light and heat. What I learned was not ritualistic, though I did come to understand many rituals. I learned that tending the fire, like all yogic practices, is a path to the soul. Or better put, there is a fire within you that seeks growth; it is like a flame, a light within, dancing when you tend to it with practice and attention. One day it will blossom in your field of awareness to be seen as your very own soul fire. 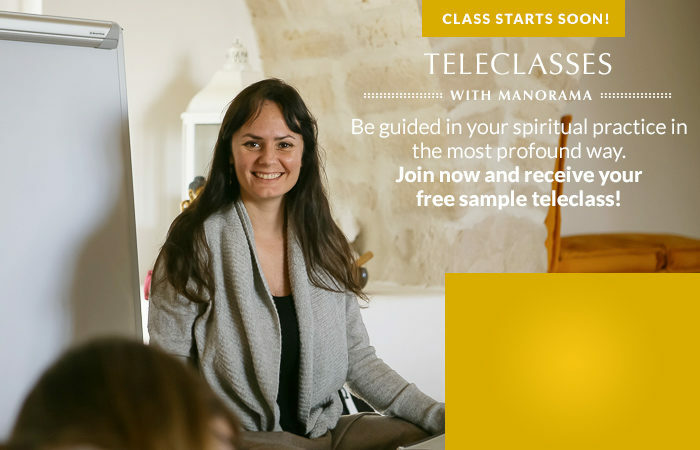 Grow your knowledge of Yoga and the Seers of light with Manorama in the NEW Rishi Club, First Series Teleclass – Starting Tuesdays, March 28th, 2017. Join Manorama & friends in this global spiritual community and learn how to integrate the teachings of luminous yogic sages. Be inspired in your yogic practice. Feel connected and confident in your journey, learn to integrate these teachings into your daily life. I’m interested to learn more.